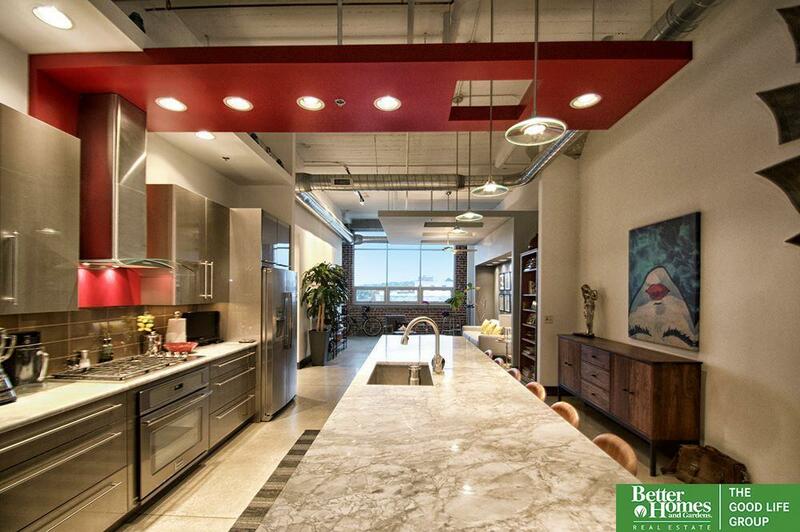 Rare opportunity to purchase one of Kimball Lofts most desired floor plans. Southeast-facing corner unit allows sunlight to flood this modern living/kitchen design (feat, 15.5' island) with polished concrete floors and exposed 14' poured ceilings. Expansive master suite with fantastic walk-in closet and east-access laundry. Join this creative urban community which includes rooftop deck/grill, fitness studio and WiFi-lounge; as well as LL storage and dog park access. Includes 1-garage stall.